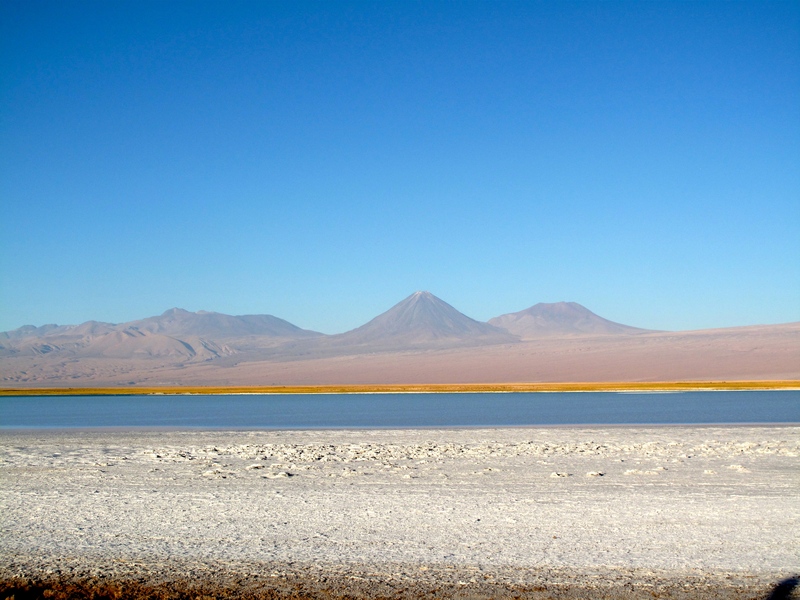 A full day bus trip from anywhere the Atacama desert is northern Chile’s #1 travel destination. After a 12 hour overnight bus ride from La Serena I woke up in my cama (bed) bus seat, was served a breakfast of juice and pastry then opened the curtains to view a mountainous desert scene. Distant volcanos wrap the expansive valley and everything is covered in a fine clay dust. San Pedro is a traveler’s oasis. 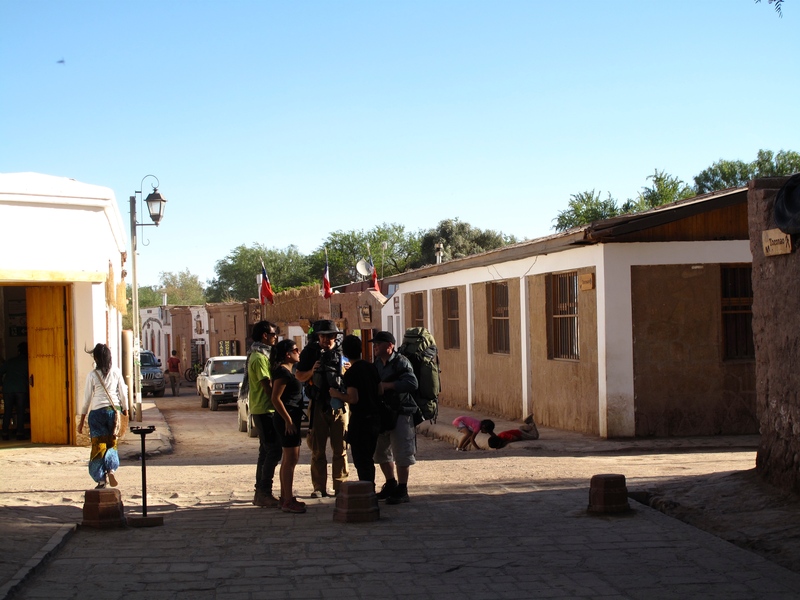 The town population feels like 80% tourists, there is an abundance of tour offices, hotels, hostels, and restaurants. There are no bars – to sell liquor you must sell food – so the nightlife scene is centered about desert parties and fire pits. The shear tourist-i-ness of this town is a bit overwhelming and I found myself wanting to hate it, but something about the positive energy, kept me smiling. I spend most of my time with a fellow traveling grad student from Vancouver and on our last night we learned how to make a Chilean Pisco Sour. San Pedro has plenty of good restaurants to take in the post-sunset inflow of tourists. The food at Cafe Adobo is as good as any SF restaurant (and about the same price) but local grilled Llama meat was the rustic treat I expected from the desert town. 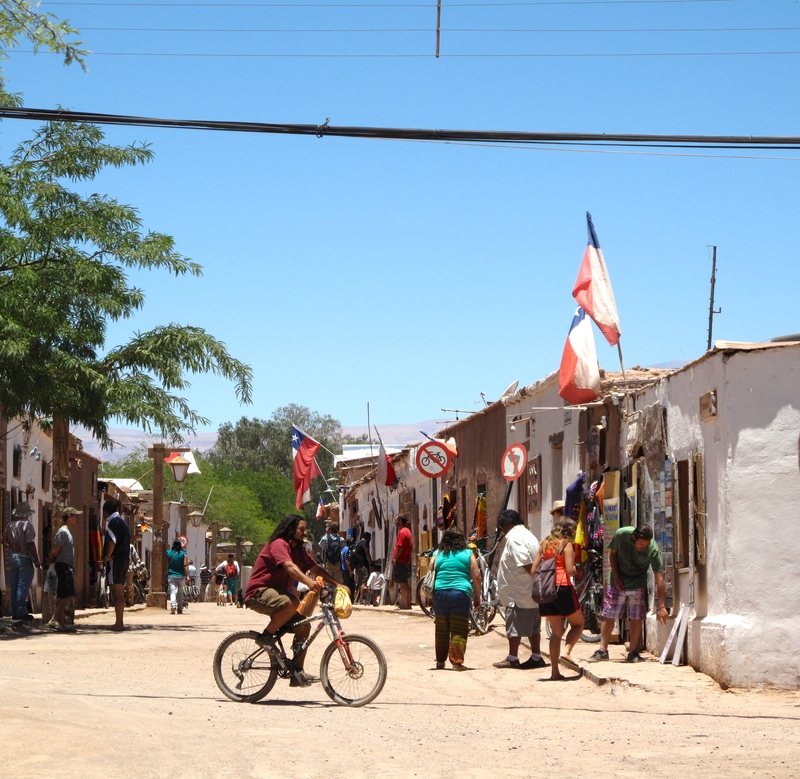 Love it or hate it, San Perdo de Atacama attracts tourists for several reasons and you will want to TRY THESE…. 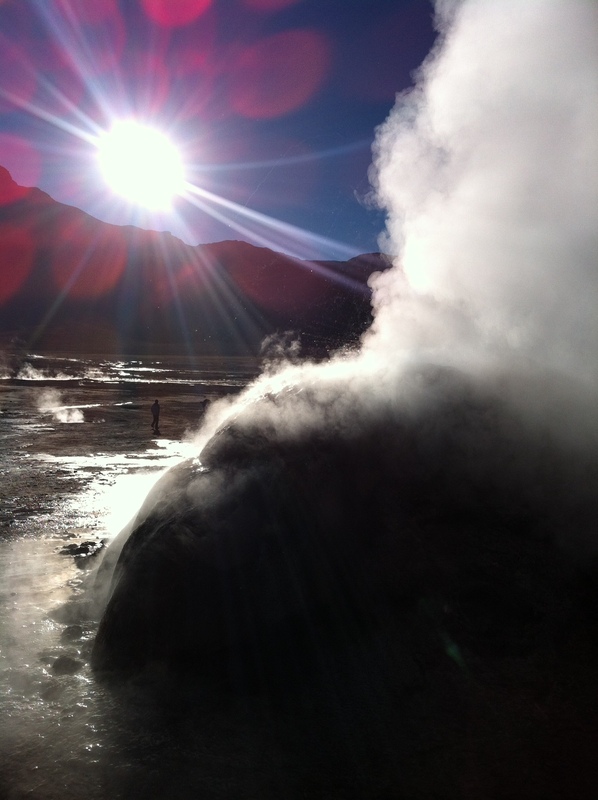 San Pedro’s main attraction the El Tatio Geyser tour starts at 4am. Buses cross the town picking up tourist in the cold dark of night to arrive at the geysers at sunrise while it’s cold (damn near freezing) so the hot steam from the geysers produce dramatic clouds. 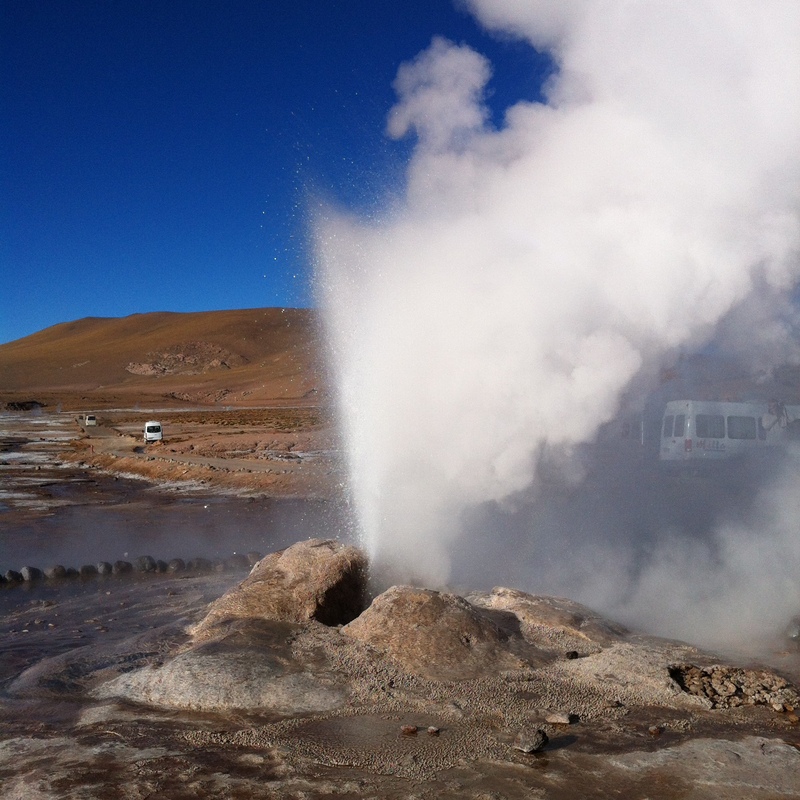 All the tours serve breakfast – some much better than others – and follow the same route, geysers, hot springs “baths” then the traditional village and last a drive by flamingo lake for a from the bus photos ops. Back in the village by noon. 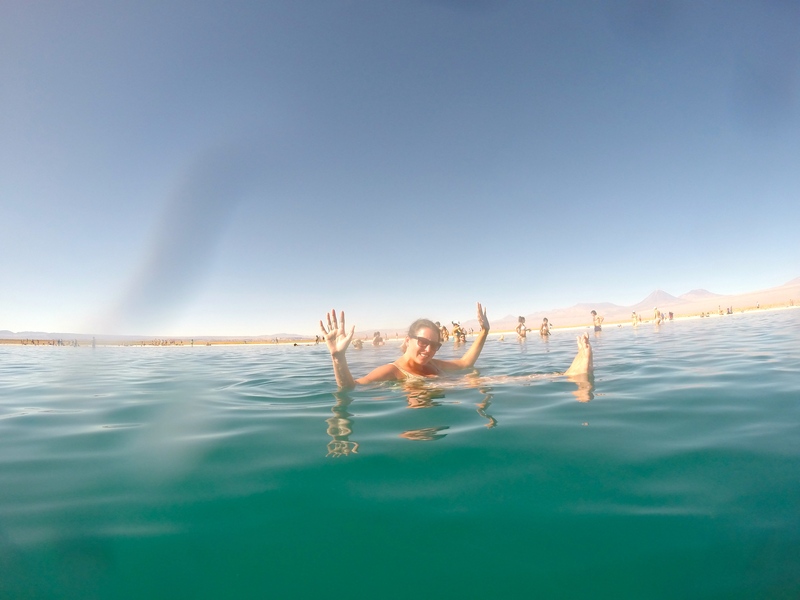 This afternoon tour will drive you 30 minutes out of town where you can float in a salt lagoon. 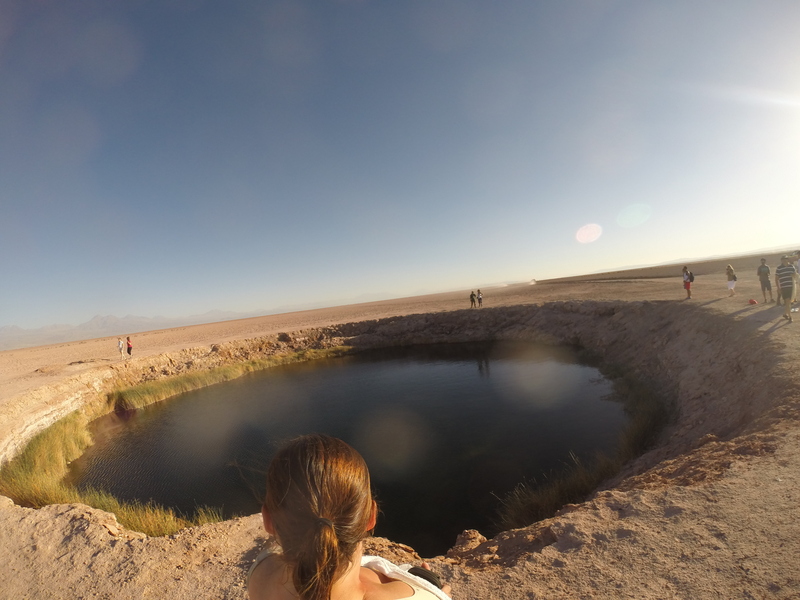 Then you can dive into the two “ojos” fresh water ponds. 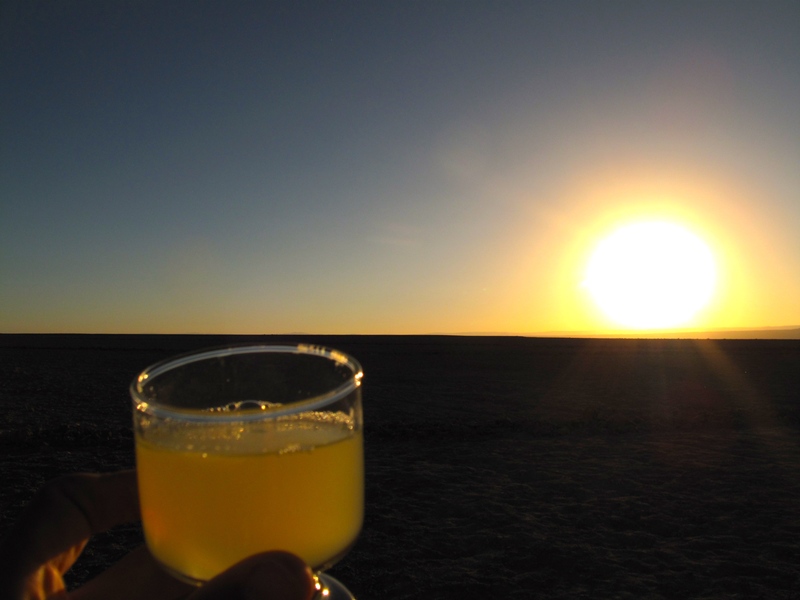 After your water adventures the bus takes everyone to salt flats for sunset and pisco sour. Again each tour does the same things, the only difference is the quality of the snacks. 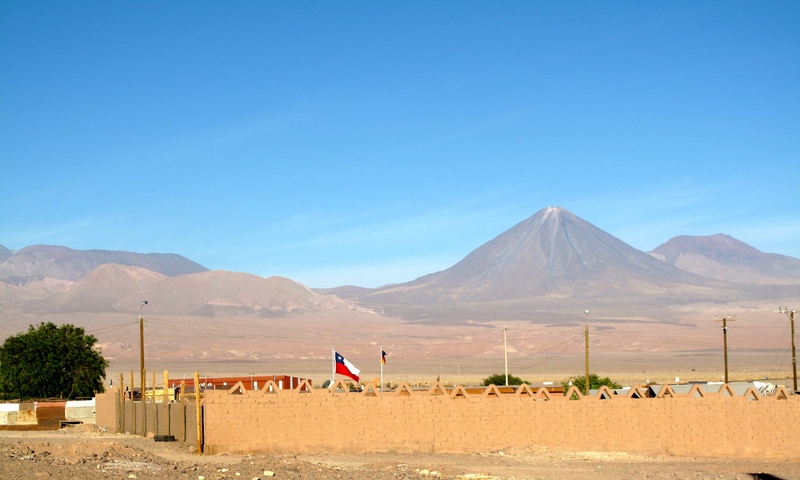 Some are better than others but nothing in San Pedro is as good as the Vicuna Mamalluca observatory. Typically a San Pedro tour operator drives you minutes out of town to a house where you look through a internet purchased telescope and struggle to see past light pollution. 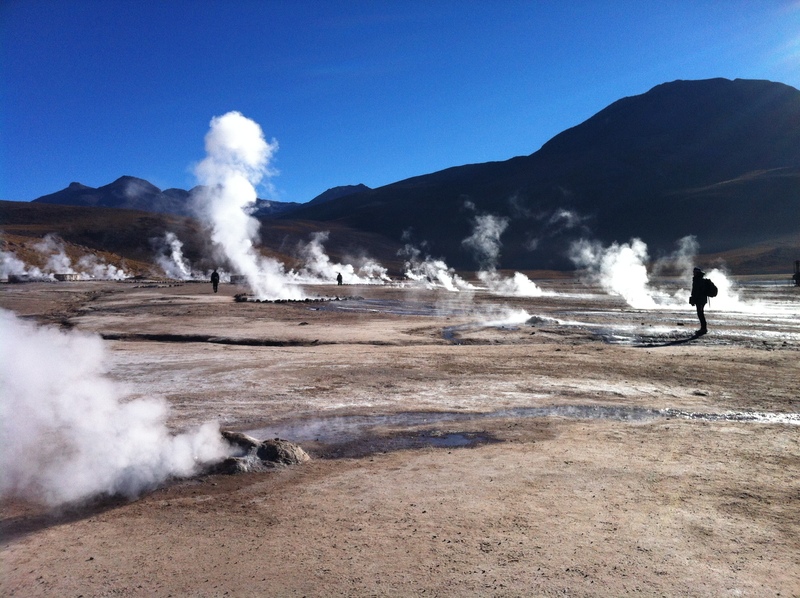 SKIP THIS – go to Mamalluca in Vicuna (near Pisco and La Serena). This is the man attraction for those coming and going from San Pedro. 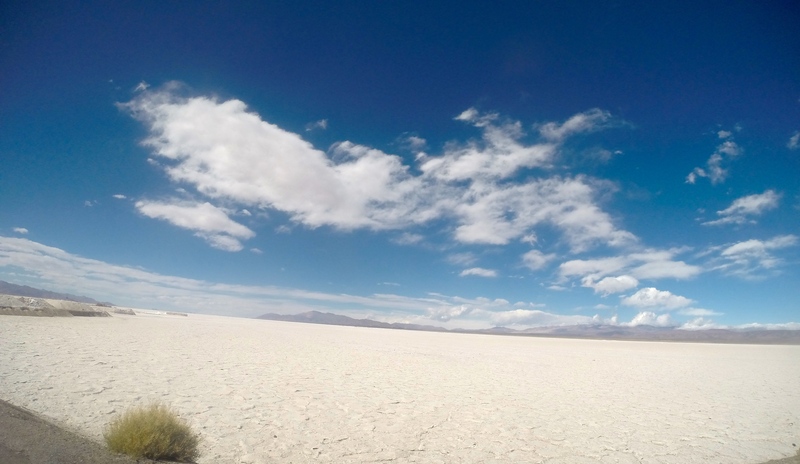 See the Salt Flats, stay in the salt hotel, and gaze in wonder at the stars miles for any light pollution. Unfortunately I am studying, so I was not able to spend 3 days away from wifi and therefore could not take the 3 day tour. 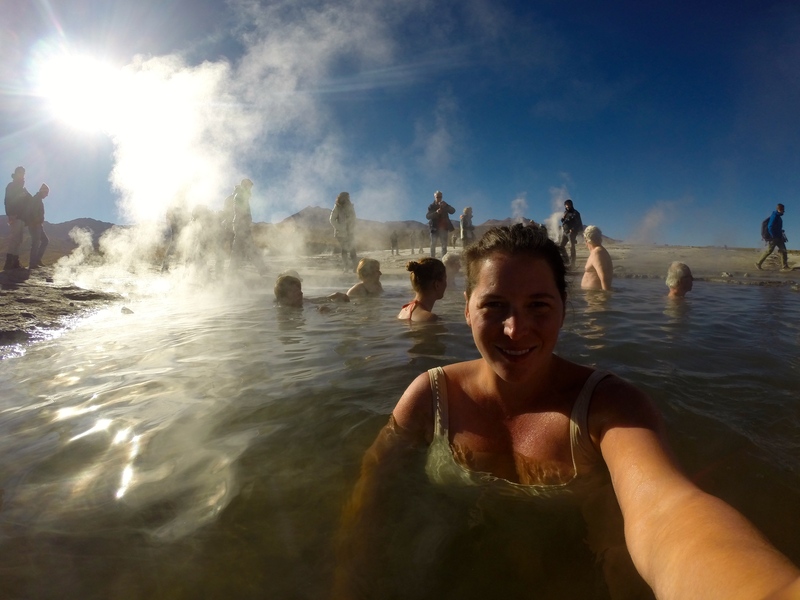 Travelers rave about the experience and give the following advise 1) Ladies, wear a sports bra it’s a bumpy road 2) charge your camera and 3)pick a good group of people, you are stuck with them. 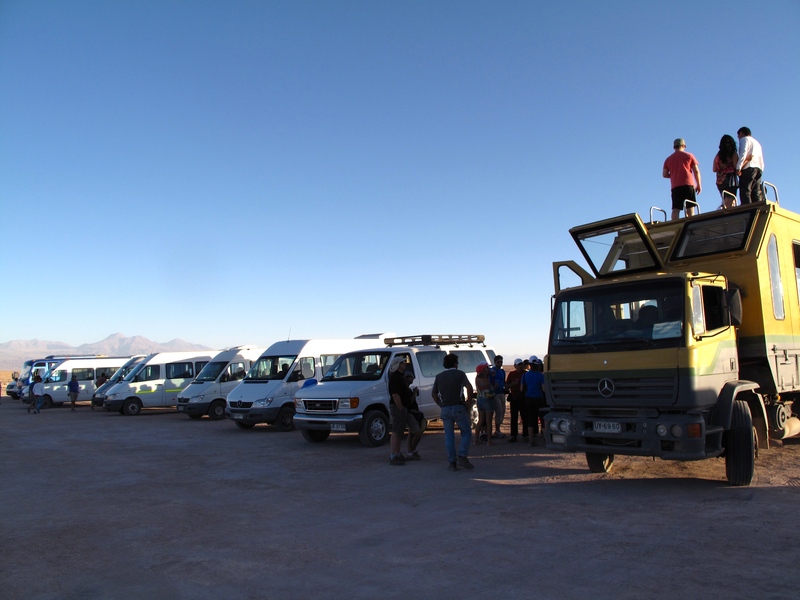 Pedras Rojas – red rocks, salt flats and desert this full day tour is for the photographer with breath taking scenery. 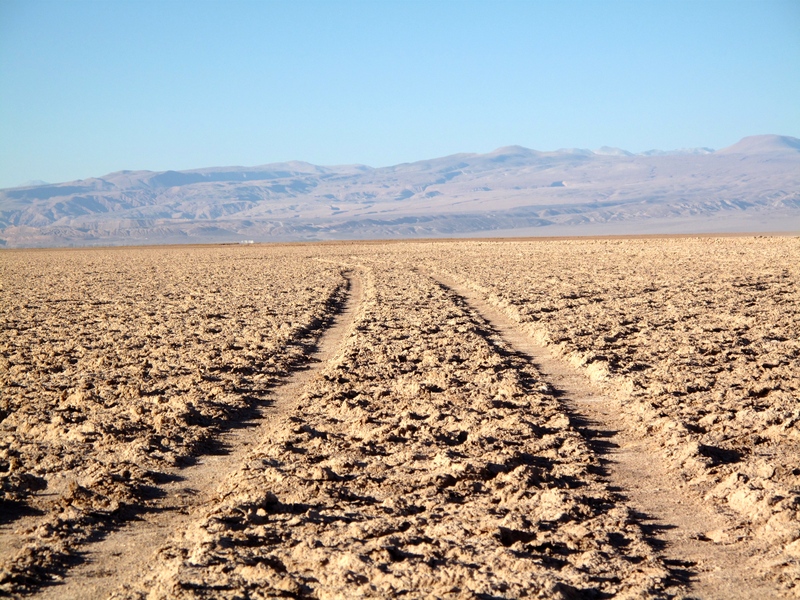 Luna (Moon) Valley Tour – desert valley, expansive sand dunes and salt flats, photographers can’t get enough of this popular tour. 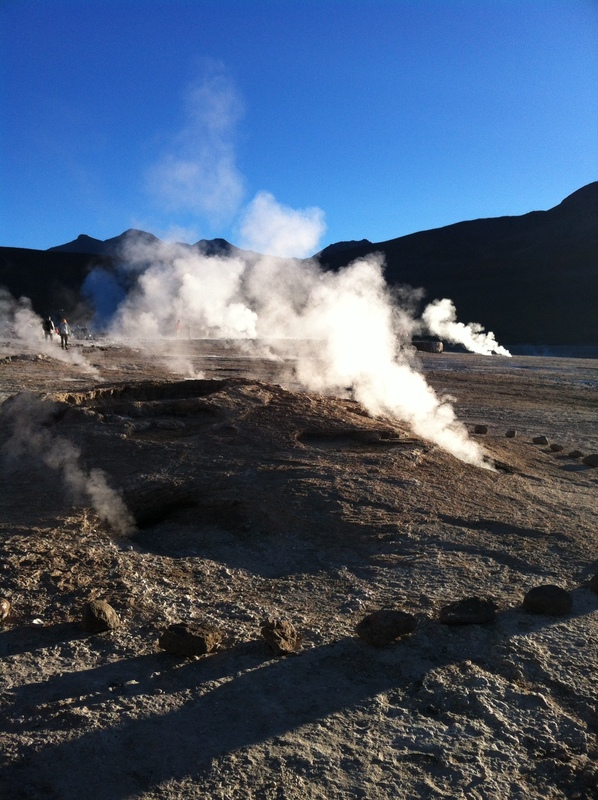 With only one week to get to Buenos Aires I had to move on across the Andes to Salta Argentina for week 9. 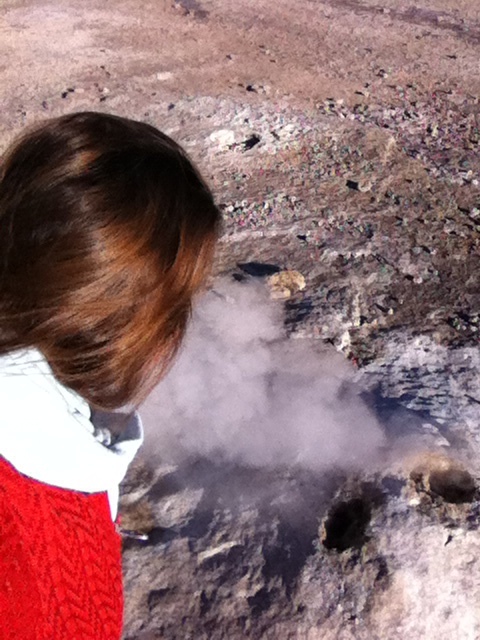 I loved my stayat the Lonely Planet recommended Tukha Tukha Hotel and Camping. A variety of room options scatter around a pool and garden space. The Wifi works best by the pool, and so do I. This oasis is truly fantastic. 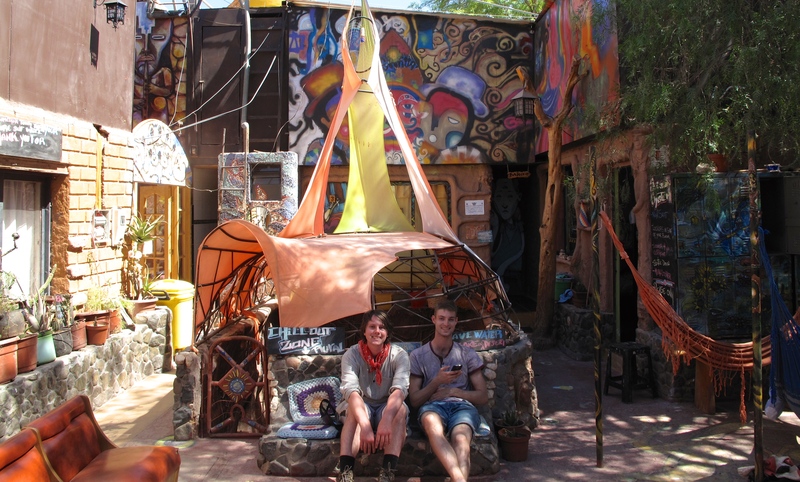 The best hostel is centrally located Hostel Rural – party vibe, clean dorms and excellent public areas. If you are up for meeting people and dancing the night away this is the place for you. ← Argentina’s ‘Blue Market’ currency – Know before you GO! Many thanks for your excellent photo review, you really helped me in choosing!